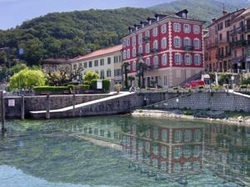 Stay at Hotel Cannobio and you’ll enjoy the same views across Lake Maggiore that Giuseppe Verdi took in during his time here. Dating from the 18th century, this classic 4-star hotel sits right on the water’s edge and features a restaurant (The Porto Vecchio) and bar. The small town of Cannobio itself is full of historic character, and the border with Switzerland is just a few miles to the north. Further information to be uploaded soon.